Joe Armon-Jones - Starting Today Dub. Vinyl 12. Bleep. 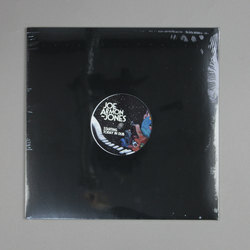 Joe Armon-Jones’ debut LP Starting Today drew many plaudits when it came out in mid-2018. The young London jazzer’s mixture of neo-soul, jazz fusion and hip-hop finds itself dubbed out on this new EP. For the A-side, Starting Today’s eponymous cut is stripped of everything bar its clattering drumbeat and skipping bassline. Atop this the occasional chemtrail of saxophone, keys or vocals drift across the mix. It’s trippy stuff. For the flip we find London dub poet Asheber lending his voice to the delay-drenched ‘Mollison Dub (Vocal Version)’.